← The Tropics Are Revving Up— Are You Ready? On any given day in metro Atlanta, four to five families will experience the devastating impact of a disaster. In many cases, they will lose everything they own – to a house or apartment fire. About one third of them will be single mothers, most with children under the age of five. According to the National Fire Protection Association (NFPA), home fires are more likely to start in the kitchen than any other room of the home. The leading case of home fires is unattended cooking, followed closely by home heating fires. 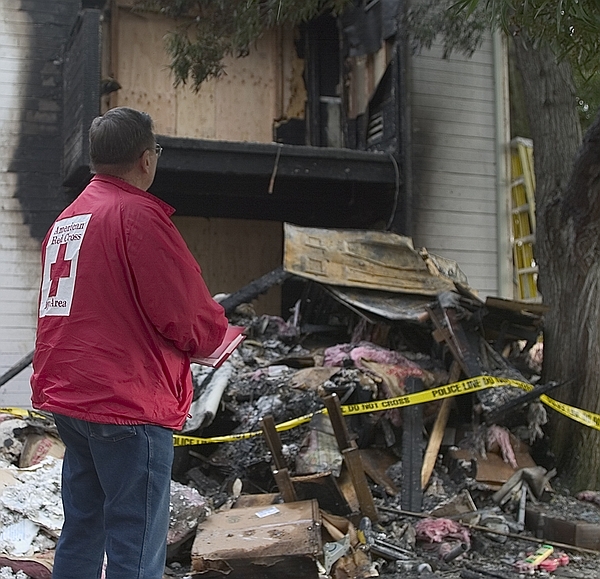 To prevent heating-related fires, the Red Cross recommends that you keep all potential fuel sources, including newspapers, matches, clothing and bedding, at least three feet away from heat sources such as a space heater or fireplace, and follow the manufacturer’s instructions on how, when and where to safely use heat equipment. In addition, the Red Cross recommends that a fire escape plan include at least two escape routes for every room in the home, and a convenient meeting place at a safe distance from the fire. Escape ladders should be stored near windows in floors above ground level, and all family members should know how to use the ladders safely. Families should practice their escape plan at least twice a year. Provide constant adult supervision during cooking or in rooms with lit candles or fires. Do not leave burning candles unattended. Keep matches and lighters away and out of reach of children. Teach young children to tell an adult in they see matches and lighters and not to touch them. Teach adolescents to resist peer pressure and not to play with fire if curious or bored. This entry was posted in General Information, Uncategorized. Bookmark the permalink. If you want to see a reader’s feedback 🙂 , I rate this post for 4/5. Detailed info, but I have to go to that damn msn to find the missed pieces. Thank you, anyway!